Short Run. When you need to cover a short distance and don’t want to deal with excess cable, the Sanho 2.6ft HyperThin HDMI Male-Micro is a great option for your HDMIneeds. While they’re perfectly suitable for cameras and monitors, these cables work great with our gimbal systems. We strongly recommend them as viable options for Ronins and Movis due to their light weight, ideal length, and dependability. 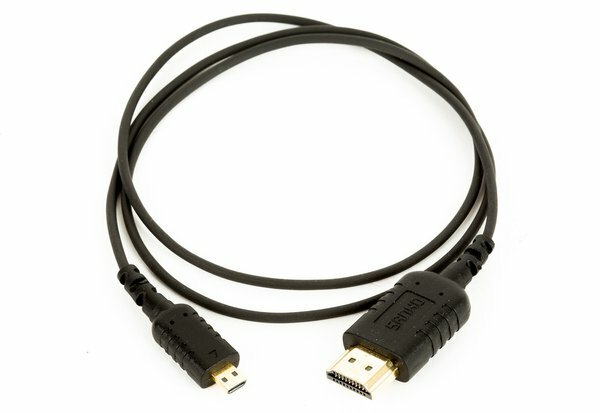 HDMI Male-Micro. Micro-HDMI inputs are typically found on DSLRs. If you’re shooting video on a large camera, you’ll need HDMI Male-Male cables.